My wife’s 88-year-old grandmother recently passed away. She was a dear lady and will be missed greatly. With her passing, a lot of things were left behind for the family to sort through. She lived in the same house since the mid-1960’s, and the accumulated years of “stuff” was pretty amazing. One of the items my wife brought home was a book the family picked up somewhere along the way when her dad and uncle were playing football. Even though I am not much of a sports fanatic, she knew this book was right up my alley. I am sharing it here on Lost Transmission because it’s a classic piece of mid-century American culture and art, which I know readers of this blog will appreciate. 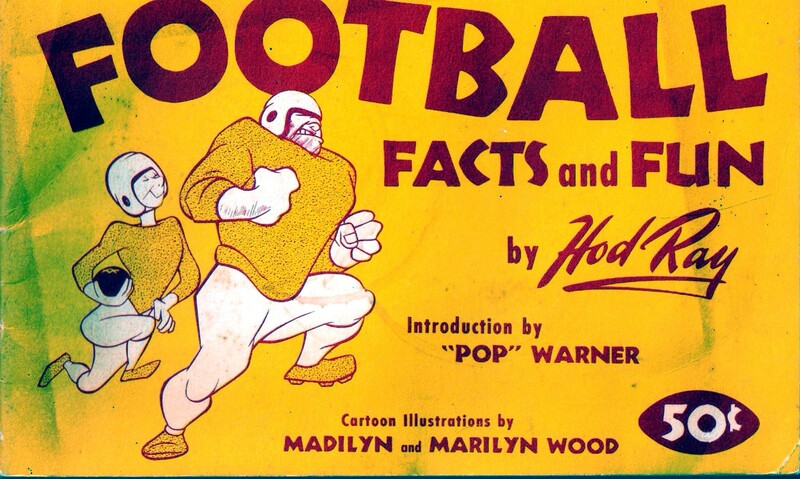 This book is entitled “Football Facts and Fun”. 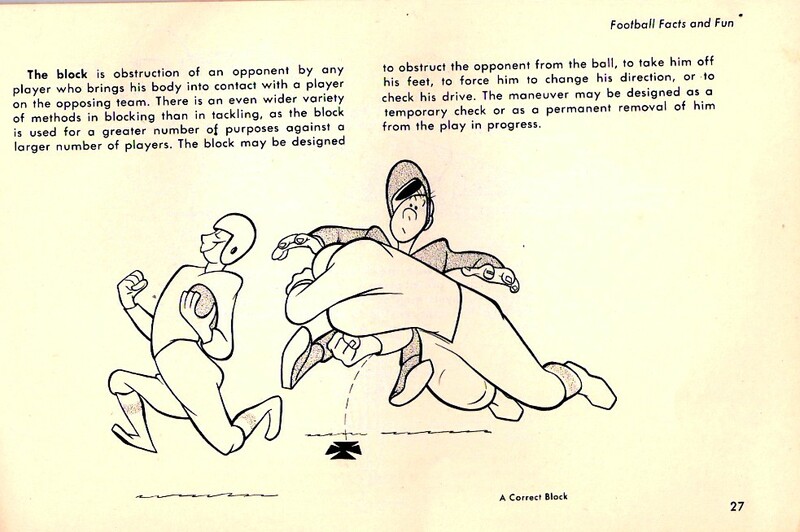 It was published in 1949 by a football coach in Palo Alto, CA named Hod Ray. Hod Ray. Is that a cool name or what? 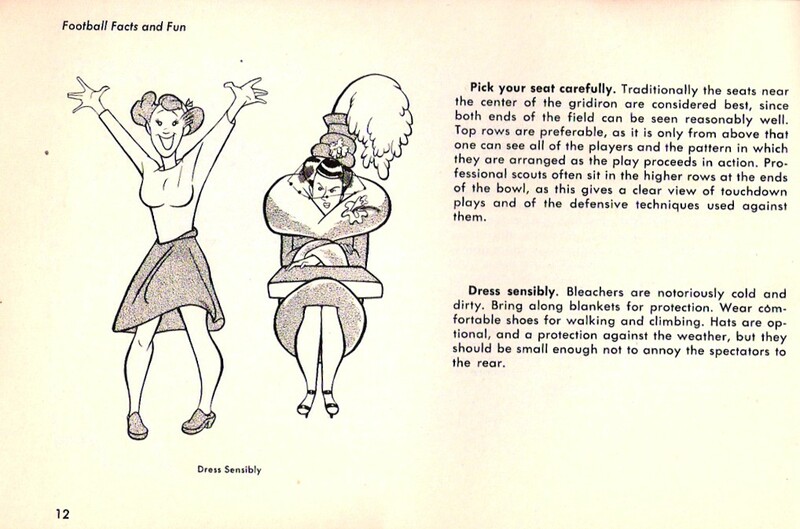 Anyhow, this thing is everything you need to know about the game of football filled with humorous 1940’s-styled illustrations by Madilyn and Marilyn Wood. I have only found a few scant references to this book in a quick Google search, but it did get an awesome write-up in Life Magazine September 19, 1949. You can check it out here. Now, let me share some gems from this great piece of Americana. I think you’ll love this. I do. 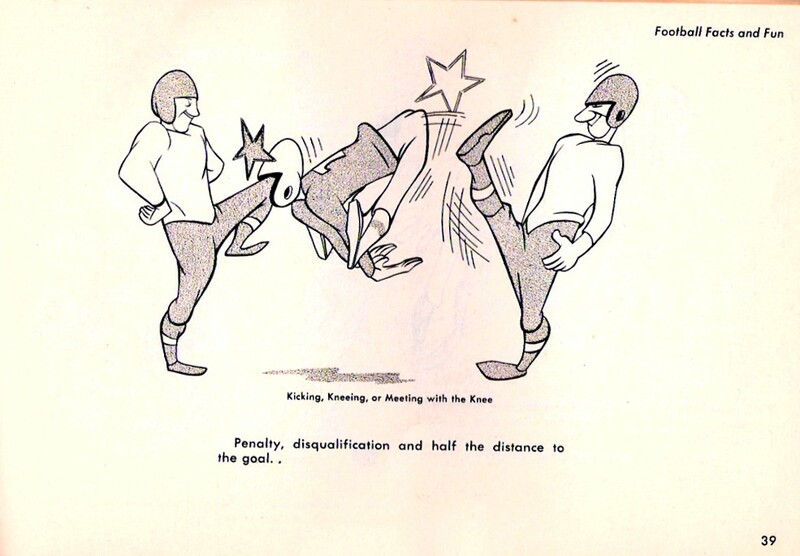 In addition to the humor, this book has lots of serious facts, rules and diagrams I’m sure are useful to those who care about football. As for me, I thoroughly enjoying just looking at the cool illustrations! Stay tuned. I made another great find today I plan to share soon for all you vintage Disney nuts out there. You know who you are. This entry was posted on December 6, 2010 at 10:45 pm and is filed under Art, Retro Finds. You can follow any responses to this entry through the RSS 2.0 feed. You can leave a response, or trackback from your own site.